We are celebrating our 5th Birthday! And we just want to say a big thank you for all your support! 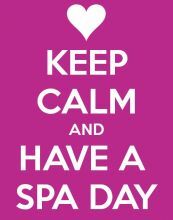 So, this month we are giving you $25 off any one spa treatment! That’s only $100 for a 60min Massage, $125 for an Organic Facial, $135 for a 90min Body Scrub & Massage!! Hurry appointment times are limited! Beautiful fragranced salt will uplift you and encourage all over body rejuvenation. With our amazing Vichy shower. Followed by a 1hour massage tailored to your needs. Then our Spa Booster Facial deeply cleansing and nourishing, leaving your skin glowing and your body floating. Does winter do crazy things to your skin? Does it feel dry and look dull? Pevonia’s Anti free radical facial is the winter boost your skin needs. With the power of free radicals, vitamin A & vitamin E. Your skin is deeply cleansed, hydrated and nourished. Not to mention it’s great for fine lines and wrinkles! If you book your next spa treatment in advance and we will give you a free anti-ageing eye treatment or hydrating scalp massage valued at $30.